Nothing warms a new baby quite like soft, red baby blankets. Whether you knit, crochet or quilt you should take steps to insure that your inventory of homemade baby gifts includes a blanket with touches of red. For Christmas your handmade keepsake can have touches of green in consideration of the traditional color scheme of the holiday season. 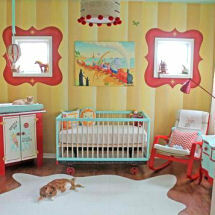 Choose something fun that complements the infant's nursery decor or as an addition to the red baby bedding. 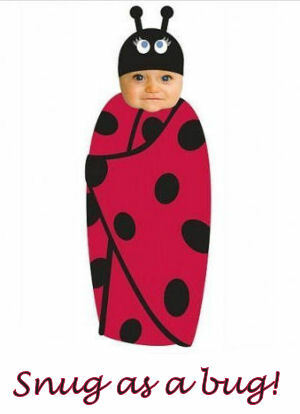 For example, a black and red swaddling blanket would be a nice fit for a ladybug theme. HERE is a fast and easy fleece baby blanket tutorial. It will be so easy and cost effective to make your own from a yard or two of fleece, flannel or minky chenille fabric. The most simple cotton fleece blanket can be dressed up when edged with some inexpensive cotton eyelet bought at the local discount store or if you are lucky enough to have a friend that tats, some delicate tatted lace would transform a cheap piece into a priceless treasure that will knock the socks off the guests at the baby shower. Go here to see how very inexpensive this lovely gift will be! Another idea would be to order a personalized baby blanket embroidered with the baby's name, date or any details that you feel are important along the edge or in one corner of the piece. Think how fabulous a red baby blanket with a classic, white monogram would be as a photo prop for the holidays. 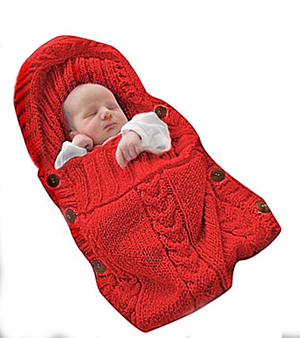 In early spring, a soft, red blanket will make a unique, Valentine’s Day gift for baby. A quick and easy patchwork quilt that you sew on the machine in a few hours will look so cute tucked into a gift basket along with something white or silver. In order for the patchwork to stand out, consider alternating blocks of candy pink and cherry red or white and red gingham checks. A red baby blanket is perfect for a nautical baby nursery theme, an embroidered baby blanket with navy blue trim or decorative stitching would be nice to drape on the back of the nursery glider to take the chill off on cool evenings when baby wants to be rocked. Another creative way to give your gift a nautical feel would be to have a seamstress add some naval flags, anchors or other seafaring motifs to the personalized baby blanket with decorative stitching. There are free easy knit baby blanket patterns to knit or crochet available on this site that even a beginner can use. Amaze your friends and family by making your own baby blankets. Choose a soft baby yarn and needles that are of the proper gauge and get started! Don’t worry if your piece isn’t perfect. Occasional imperfections are expected in homemade, personalized baby gifts. Once the raw edges are covered with satin binding a few dropped stitches here are there are virtually unnoticeable. Leave the knit lace baby blanket patterns to the advanced knitters and master the basic knit and purl stitches before jumping into cables, chains and lace. Beginners might prefer to crochet their first red baby blanket. Either method has its own benefits, beauty and offers the satisfaction of a lovely finished product that makes a special, memorable Valentine gift for a newborn whether or not mom has chosen red baby bedding. Once you have several blankets and a little experience, you may want to try your hand at a matching shell stitch pattern baby hat or booties in red to build your stash of baby gifts for Christmas or to have on hand for winter baby shower gifts! Please share photos of your handiwork here on Unique Baby Gear Ideas when you are done. 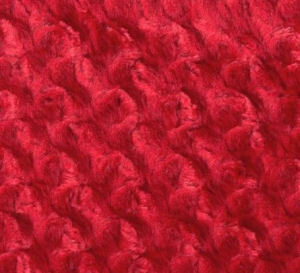 Have you got a picture of a red baby blanket that you made or a favorite crochet pattern that you would like to share?